Fabian Cancellara didn’t just enter the Tour of Flanders as a race favorite — he entered the race as the defending champion and the overwhelming favorite. 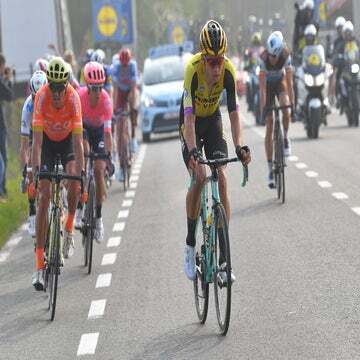 MEERBEKE, Belgium (VN) — Fabian Cancellara didn’t just enter the Tour of Flanders as a race favorite — he entered the race as the defending champion and the overwhelming favorite. 2011 TOUR OF FLANDERS: Cancellara certainly didn't rest on his laurels. 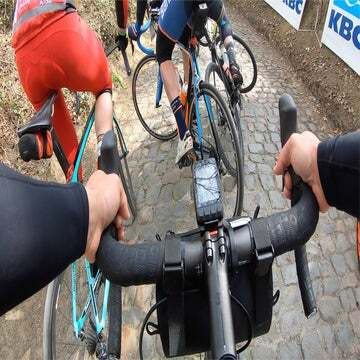 After his impressive wins at last year’s Flanders and Paris-Roubaix, and strong showings at Milan-San Remo and E3 Harelbeke over the past month, the Leopard-Trek rider took the start of the Ronde van Vlaanderen as the rider the rest of the 198 starters would key their tactics around. When Cancellara attacked with 41km remaining and bridged across to Quick Step’s Sylvain Chavanel, opening a one-minute gap, it seemed that no tactics would prevent the inevitable — another solo victory for the three-time world time-trial champion. However, several factors played into a very different outcome, with Cancellara ultimately caught atop the Kappelmuur with 15km to go — leg cramps on the Muur, an unexpected shadow in Chavanel, and a strong BMC Racing team, which organized a successful chase. Once that chase group of race favorites brought back the leading pair, Cancellara went through a bad spell on the final climb, the Bosberg, before clawing his way back on to the front group. He attacked again, with 3.5km to go, drawing out Chavanel and eventual winner Nick Nuyens (Saxo Bank). A last-gasp sprint from 300 meters to the line fell short as Nuyens and Chavanel both came around to take the top podium steps. The rider who was deemed unbeatable appeared showed that he is, in fact, mortal. Afterwards, though he said it was “a strange day,” Cancellara was positive about his performance. “The dream is always to finish in Meerbeke alone,” he said. “I fought until the finish line, and that shows me I didn’t give up, I believed in this victory, and finishing third is satisfying. I’m not frustrated, I’m not disappointed; I have done an amazing race. I can be happy with this. When Cancellara attacked on the Leberg climb, the consensus among riders and the media was that the race was suddenly for second place. Cancellara said he felt like he was having one of his “special moments,” but later, it felt like the world was “falling down around” him. Though he didn’t attribute a lack of water in the final 30km as the reason his bold attack didn’t succeed, it certainly didn’t help prevent Cancellara’s subsequent leg cramps. As BMC amassed at the front of the chase group, Cancellara could be seen looking for water and shaking an empty bottle. 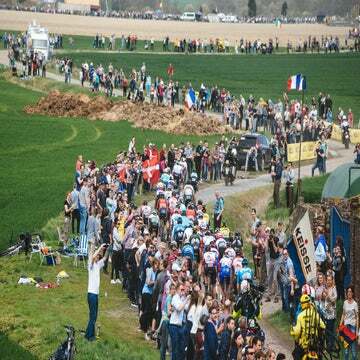 His team car was not allowed to come across, as the gap was under one minute, and the rider known as Spartacus finally took a bottle from a Shimano neutral support car. Cancellara called the final 10km of the race “like a lottery,” adding that he never gave up the belief that he could still pull off the victory, either as he did at Milan-San Remo in 2008, when he attacked alone with 2km to go, or as he nearly accomplished at San Remo this year, when he finished a close second to Matt Goss in the bunch sprint. “When you look at the last 10km, from the Muur … still with (Philippe) Gilbert, then he attacked, then (Alessandro) Ballan was there, I was with (Bjorn) Leuekemans and Chavanel, then we came back, then the rest of the back was coming, and suddenly it was like a lottery. You could win, or you could lose. Even as a favorite, a Superman that had a weak moment, even then you could lose. After his late attack was neutralized, Cancellara and Chavanel shook hands. Asked about it, Cancellara called it “fair play,” and also took a jab at Nuyens. Cancellara also expressed frustration at BMC for chasing him down, but in his estimation, failing to animate the race. As for his decision to start his sprint early, Cancellara said it was Chavanel’s Quick Step teammate Tom Boonen that forced his hand. Looking forward to Paris-Roubaix, Cancellara said he thinks his chances are as good as ever to take a third cobblestone trophy. “San Remo second, Harelbeke I won … it looks like, on paper, I must win Roubaix,” Cancellara said. “But it’s another day. Today shows I’m strong, but it also shows that they don’t have to only race against me. I said earlier, like (Philippe) Gilbert (said), it’s a bike race, nothing more.